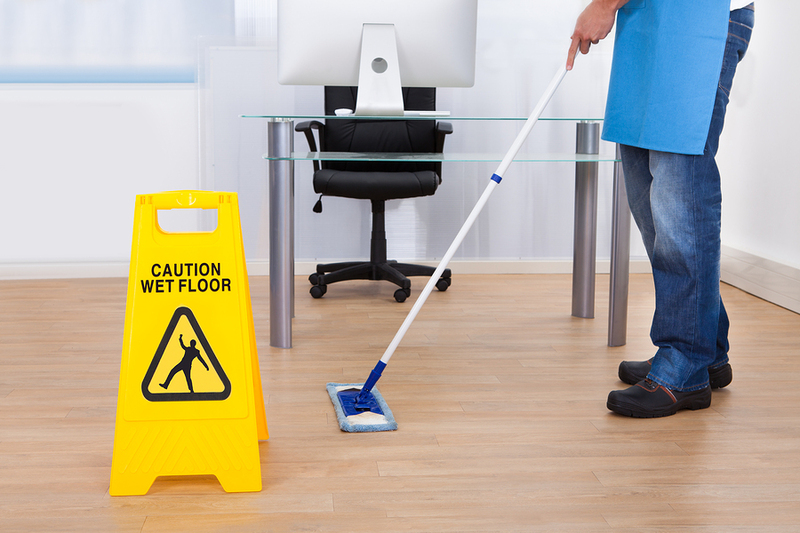 A clean, properly shined floor often goes unnoticed, but the benefits are certainly valuable. The process of floor waxing increases the life span of a floor and reduces the frequency of cleaning needs because it will not absorb dirt, debris or oils. Further, this keeps the floor color more radiant, often brightening the room overall and making it more aesthetically pleasing. *Polymer based: a self-polishing result with no buffing, but yellows over time and will need to be stripped and reapplied in time. Using the wrong type can permanently damage or completely ruin a floor, which is why it is important to choose a knowledgeable professional for this type of job. Replacing a floor is expensive, time consuming, and puts the entire room it is in, or even home due to chemical fumes, out of use during the process. Our professionals will assess your specific home and flooring material and work with you to determine the best choice for you. For any floor (residential or commercial) we provide floor stripping and waxing. We want to prevent any damage done to the floors; a pre-screening appointment is required to determine the type of stripping agent and wax to be used on your floors. Due to the fact that floor stripper has a heavy chemical odor please have the windows in the space open an hour prior to get air flowing through the space. If the weather is poor please keep windows closed and we will bring filter fans with us. We don’t usually bring fans to waxing jobs because they use quite a bit of electricity and we do not want cost you more on your bills. If fans are required we will adjust your service bill to compensate you for the electricity we used. Stripping and waxing floors does take a good amount of time so please be able to stay out the room we are stripping/waxing for that day while we work and eight hours after to allow floors to dry. If you have any needs in that space during the time we are working on the floors our employees will be glad to accommodate as for the eight hours after, we try to make that time while you are sleeping. Or for commercial properties at night while no workers are there to walk to on the floors. For all residential properties please have all pets put up so they will not in the room. Wax (while wet) attracts pet hair and other debris and that is why we ask for only our employees be in the room that day and eight hours after. If the space is a commercial space we do work on holidays while workers are out so we can do large areas or whole building that day. For residential properties we realize you have a life too and being able to move about freely in your house is important. So, for larger houses we can set up multiple appointments for the multiple floor waxing your house requires. Whatever your preference is we will do our very best to accommodate your needs and time schedule.